all loosely bound by rules which we call ‘laws’. It is the job of lawyers to understand these laws, and to help people live their lives most meaningfully. Lawyers play an important role in the economic and social health of the whole community. Many lawyers help people in distress, advocating areas that they are concerned about, such as child rights, women’s issues, or the protection of refugees. Besides these, lawyers today work with people from every walk of life, interpreting laws, applying legal principles and above all, helping people tackle problems on every level. Plainly put, an ideal lawyer is a smart, intelligent person who applies common sense to common and uncommon problems alike, and helps people find their paths out of the wilderness. But even then, today the profession of law is looked down upon. On telling people that they are pursuing law, law students get to hear an ample amount of jokes and one liners associating ‘lawyers’ with ‘liars’. We cannot let that handful of lawyers ruin the names of all the others who struggle to deliver justice to the common people. And although taking credit is not at all significant in comparison to maintaining the balance in society. All lawyers are not the same and we cannot have the entire world thinking so. Lawyers legally represent their clients and deal with a wide range of cases when a layperson could not, or cannot, represent themselves.Whether access to civil or criminal law is needed, lawyers can offer initial advice to their clients. In a society which is governed by the rule of law, lawyers are a society’s gateway to the justice their population is entitled to. A lawyer may live for a few years or decades but the changes they make can last for centuries. 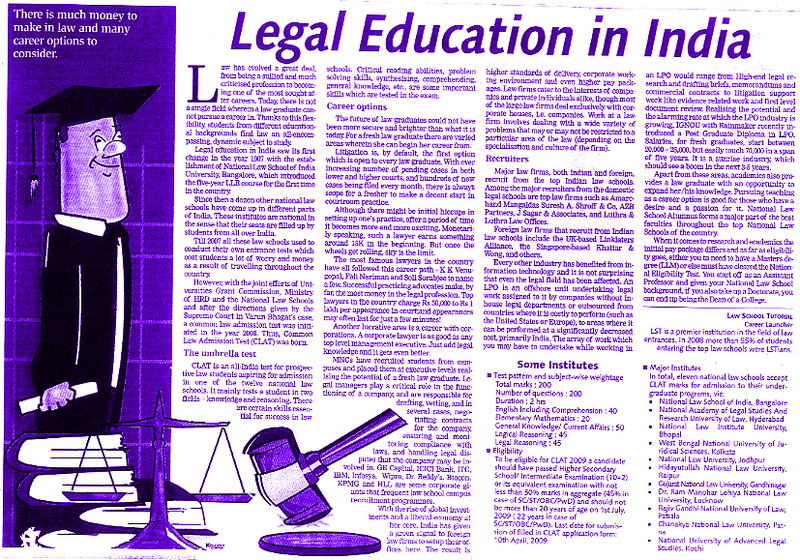 Article on Legal Education as given in the Deccan Herald. Civil laws in particular have been modified and improved over hundreds of years and have therefore become highly complicated. 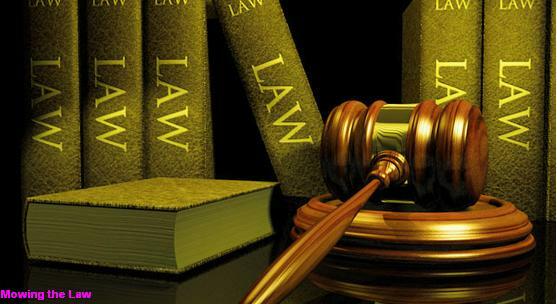 Also due to an intricate legal system supported by the courts, lawyers have in many ways become significantly important, as they provide, in many cases, the only possible access to the legal system that members of society can obtain. May it be complicated issues of constitutional law that will aid preserve our fundamental rights, or a matter involving a simple traffic violation, a lawyer is called upon to resolve conflicts between people through the application of simple, everyday, common sense. Lawyers do this through various means. The most recognizable image, of course, is of lawyers shouting their lungs out in courts of law, wearing black robes. They are called litigating lawyers, they represent their clients in court. These litigating lawyers argue various kinds of issues, ranging from property matters to criminal matters, constitutional issues to matters of family law. These lawyers dispute to ensure that their clients’ rights are upheld. Another major problem in society is wrongful confinement. Due to large media coverage, people often take the side of the victims to such an extent that they demand a capital sentence be put on the wrong doer. Judges under this pressure grant such punishment to terrorists, murderers and rapists. Would they give such a decision if they were not in fear of riots and protests against them? With a legal education, even if students don’t become lawyers one day, they will at least learn the importance of a listening to both the sides (‘audi alteram partem’) and not making prejudices without carefully analyzing situations. Therefore, it is necessary that some of these legal principles, as well as basic political science or sociology, be incorporated in the school curriculum so that students may develop a better thinking about society at a young age. Students who do not go ahead to pursue arts or law may never get to even touch the surface of these subjects and will probably end up blindly supporting/voting for false "idols" and dump the blame for all society's problems on the Government. Last year the the Government invited people to send their suggestions for the Lokpal bill. via post. How many of us had sent our suggestions at that time? Whether those suggestions would be incorporated or not is a secondary issue. On our own part, we must be vigilant at all times; so that blame cannot be directed back to us. However, not many hesitated in joining processions and attending campaigns or supporting fasts. People must re-direct their spirits so as to approach issues by the proper procedure and due process of law (when such process is still existent), instead of just blindly protesting and unnecessarily causing noise and chaos. Also read article on 'Lawyers today Leaders Tomorrow'.